Rolfing is a systematic, hands-on approach to aligning and re-educating the human body which relieves chronic stress patterns, instills order, and teaches easier, more comfortable patterns of movement. 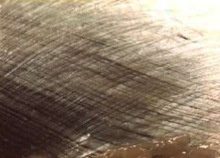 A Rolfer concerns himself with the body's connective tissue (also known as “fascia”), the tissue network that envelops and permeates muscles, forming the lubricated surfaces between adjacent layers needed for free movement. It is in this tissue that the impacts of physical and emotional traumas manifest. Over time, the fascia shrinks, dries out, and forms adhesions where body-wide strain and tension patterns have resulted in compensation to stresses the body has suffered. These areas are the focus of a Rolfer's attention: he seeks to release these bound spots, allowing the body-wide patterns to unwind, letting a person rebound upwards in response to gravity's downward pull in a series of ten carefully planned sessions, nicknamed the "Ten Series." The Rolfing "Ten Series" is the culmination of Dr. Rolf's fundamental discoveries coupled with her fifty years of study and practice.